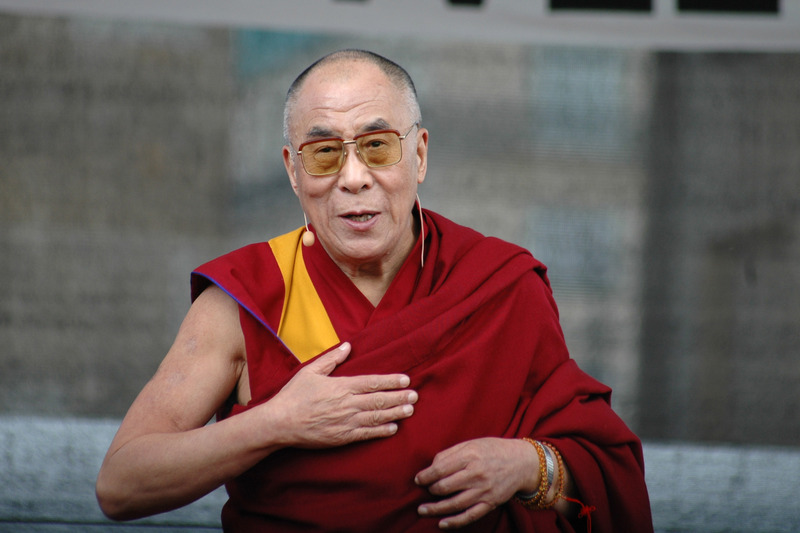 (TibetanReview.net, Jan21, 2015) – Tibet’s exiled spiritual leader, the Dalai Lama, on Jan 16 gave a talk on Peace and Compassion and also attended a prayer gathering at the Baha’i House of Worship, popularly known as the Lotus Temple, at Baharpur in New Delhi. Students from 14 schools across the Indian capital, as well as diplomats and school principals, attended the events. The Dalai Lama also said the existing education system’s orientation towards materialistic goals needed to be counterbalanced with special attention to inner values such as tolerance, forgiveness, love and compassion. He added that the way to present these in a way that appeals to everyone was to cultivate secular ethics. Hindu, Moslem, Buddhist, Christian and Baha’i prayers were recited in a number of languages, including English, Hindi, Arabic and Sanskrit after the talk. The Baha’i Faith was founded by Bahá’u’lláh more than a century ago in Iran. It teaches about the oneness of God, the oneness of the human family, and the oneness of religion.